It's convenient locality within 15 minutes of the CBD, the new FIFA Soccer Stadium, CTICC, V&A Waterfront, Century City, and all other popular attractions, which makes it an ideal choice of venue for our guests. Situated in the beautiful and popular coastal town, Sunset Beach. 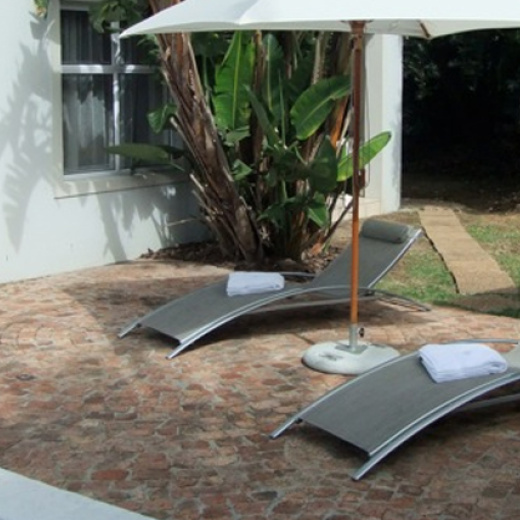 Saffron House offers luxury boutique accommodation, with a blend of sophisticated elegance and casual comfort. The 13 en-suite bedrooms are fully equipped to suit your comfort and style. After a busy day of business or leisure you can relax next to the pool.We host and cater for small conferences, weddings and private functions in our fully equipped function venue. Breakfast is served every morning in our stylish dining room overlooking the pool. Our Manager and friendly staff will ensure you have a wonderful meal. 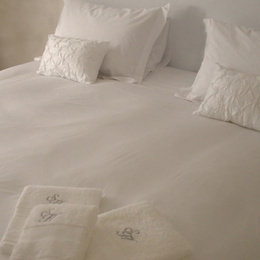 If you are on honeymoon you could opt for breakfast in bed. Dinners and lunches are available by prior arrangement.